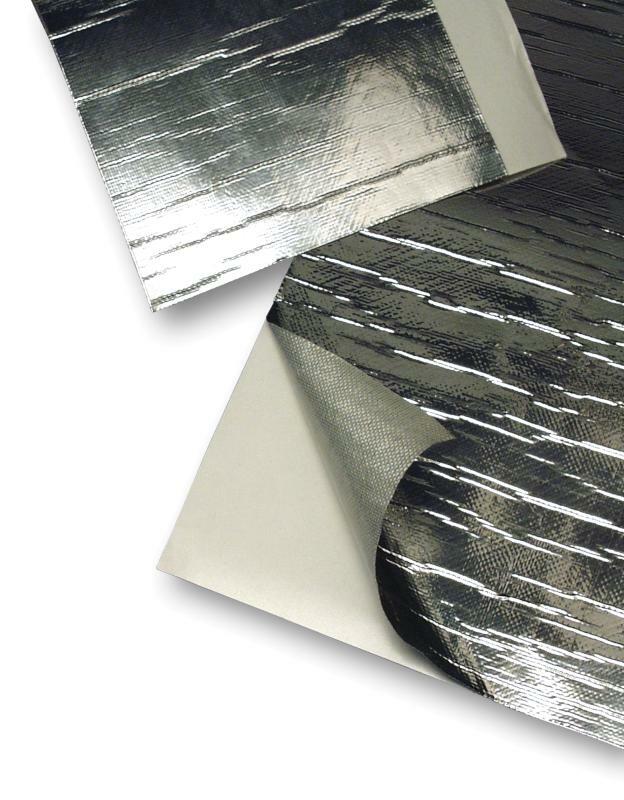 DEI Reflect-A-Cool is constructed of fiberglass material backed with a layer of aluminized reflective foil. 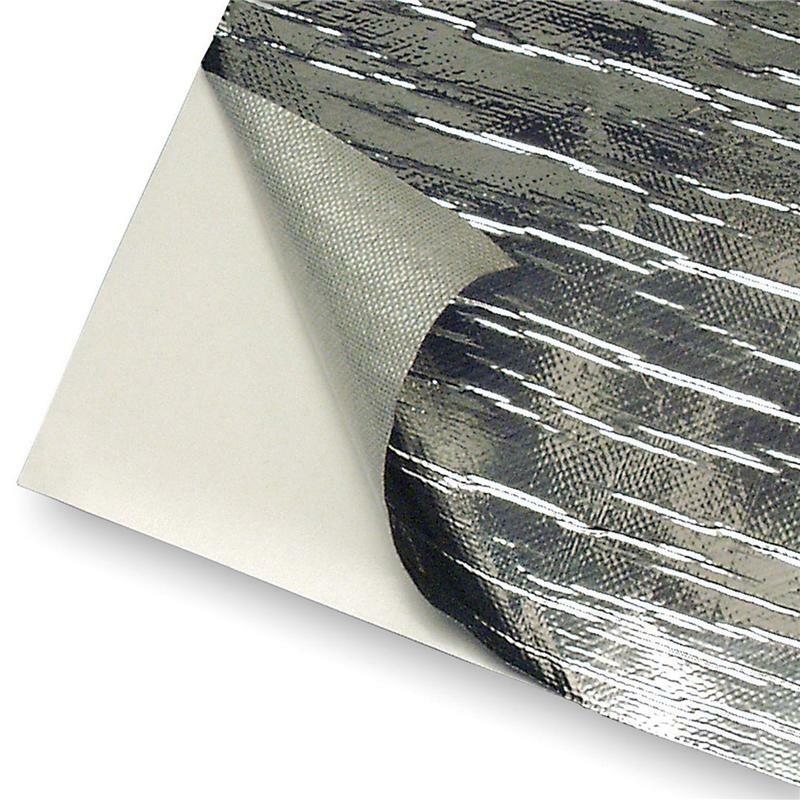 It will reflect up to 2000°F of radiant heat and will protect against direct continuous temperature of 400°F. 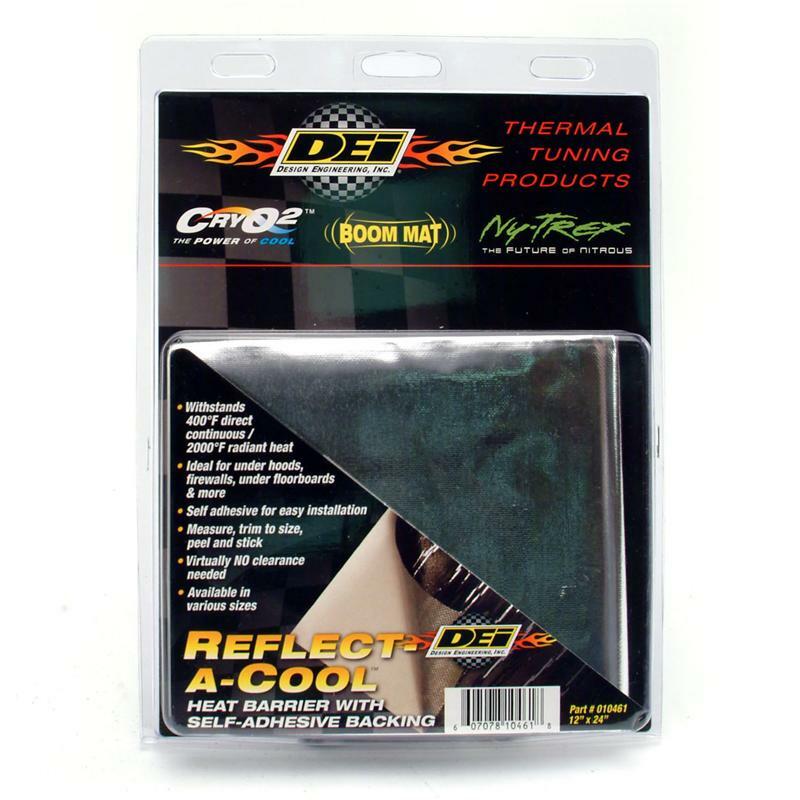 Reflect-A-Cool is ideal for firewalls, marine engine compartments, RVs, in the tub of a racecar where typical mechanical fasteners cannot be used and has many industrial uses. Reflect-A-Cool can be trimmed to fit just about any shape. Just measure, trim, face reflective side towards source of radiant heat and remove self-adhesive backing. It’s that easy.